The days of summer are here and the kids excitement, and anticipation can be felt everywhere. When the temperature hits seventy degrees, it magically turns on an inner button within every child, that raises their excitement level tenfold, but as all things go; what goes up must come down, and soon these little powerhouses of energy will be singing the dreaded "Mom I'm bored" across the land. To prevent this from happening in your household, I gather up a list of places to go, and things to see with the kids every summer; that fits into everyone's budget. With a little planning you can have a great summer with plenty to do. Nashville has plenty of activities during the summer. But we will be looking at local activities that are great deals for your money. Remember you have months worth of days to provide entertainment for the kids, and that can get expensive. Our #1 pick for kids entertainment and family fun. Nothing is more American than Baseball. They offer great promotional prices to most of their games, and even offer some free tickets. Located in Greer Stadium at 534 Chestnut St. in Nashville. Located in the shadows of the capital building; offers summer concerts in the Amphitheater, and the kid's love playing in the waters of the Rivers of Tennessee fountains. Kids get a lesson in Tennessee History without realizing it. Located next to Bicentennial Mall at 900 Rosa L. Parks Blvd. (8th Ave N.) in Nashville. Every third Friday of the month June-October the Market offers a Night Market from 5-8pm that includes lots of opportunities to experience many of the flavors of TN & great fun for the whole family. Kid's can learn about Nashville, and Tennessee history in this museum located at 505 Deaderick Street in Nashville. Metro Park's, office is located at 2565 Park Plaza in Nashville. These parks are truly Nashville's best-kept secrets. They provide an array of entertainment for adults, and children. From ballet, and symphony to movies. These parks offer an endless supply of family fun. As part of metro Parks, they offer free excursions for kid's of all ages; throughout Warner park. Pre-registration is required, and spots tend to fill up quickly. The libraries in Nashville offer special programs year-round but during the summer these programs offer plenty of children's entertainment, from Magicians to Crafts, even on occasion, Ronald McDonald. All summer long Cheekwood opens it's gates to a days filled full of family fun that includes special exhibits, programs, classes and more. Give your kid's a taste of country music at these shows, located at Opryland in front of the Opry show are held every summer from June-August. If your looking for value packed membership opportunities that pack a lot of fun with minimal cost, then the following suggestions will be of great interest. They offer unlimited visits to keep you in the fun all summer long. 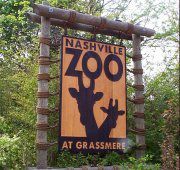 Located at, 3777 Nolensville Road, in Nashville the zoo offers a great day visiting the animals and best of all, the largest kid's Jungle Gym imaginable. Formally known as the Children's Discovery House Museum, located at 502 S.E. Broad St. in Murfreesboro, is a Hands-on arts and sciences museum where children and adults can explore the environment. Museum also offers educational programs on topics varying from archeology to gardening. Formally known as the Children's Science Museum is located at 800 Fort Negley Blvd. in Nashville, it offers an endless supply of educational fun and learning with year-round with on-going special exhibits to entertain the Einstein in your little one. To have a frugal fantastic fun-filled summer, planning and forethought are some of the basic essentials needed. Here is a planning guide that actually works, although it will take about a little time to complete, you will save much time. I've successfully used this simple (and I mean simple) method for years. Once you've gathered up all of these items you are ready to start. You need to include the kids in on this project; if possible. It's their summer vacation, and things tend to go smoother with them knowing that they have had a major input in this decision making process. Start filling in your calendar with any special events, on going events and activities that you can. Don't forget to Fill in Family Vacations, Birthday Parties, Personal Appointments or any other family get-togethers, first. If any event requires a preregistration, tickets or reservations, make sure to list these events on the day before you need to make reservations, as well as on the event day itself. Remember there is no way you can attend every function and activity that you have listed in your calendar. The whole idea is to have a pre-planned daily activity available at your fingertips. With one glance a day you will know what is available for the next few days without spending precious time hunting down something for the kids to do. If you want to stay at home on any particular day, just cross off that day. It can also be used as an extremely good method of discipline - if the kids start acting up (bad behavior), just pick up the calendar and say "Oops Guys, looks like we're going to miss the Baseball game tomorrow" or "Sorry Girls, looks like the Picnic in the Park is being canceled". Make sure to carry your notepad and pencil with you at all times, in case you see hear or find another must do happening around town. Once you've got your calendar filled, you will only need to update it, occasionally, if at all.